Our morning pre-school sessions start at 9 a.m. and end at 12 p.m. with an optional lunch club until 1 p.m. Afternoon sessions run until 3.30 p.m. The ratio of adults to children is at least one adult to four children for under threes, and at least one adult to eight children for over threes. This helps us to give time and attention to each child, talking and listening to them and helping them to get the best out of the experiences and activities we provide. 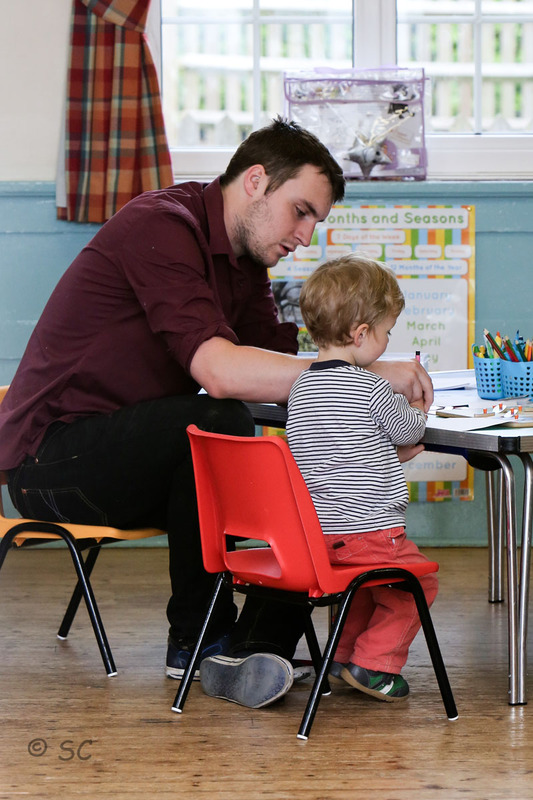 Before your child starts at pre-school, we invite you to bring them along for an introductory visit or session so that they can meet the staff and familiarise themselves with the setting. There is also the option of having a home visit from your child’s allocated key person so they feel comfortable with them initially in the familiar setting of your home. 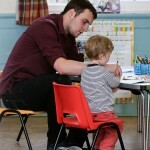 Once your child starts pre-school, you do not need to stay with them but may do so if you wish. When your child starts pre-school, this may be the first time that they have left their parents for an extended period, and we know that this can be a big step. We focus on getting to know your child, helping them settle in and helping them to get the most out of their time at pre-school. 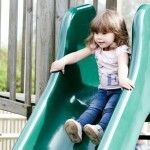 We encourage the children to share toys, take turns, play together and have fun! We have a well-planned and stimulating curriculum that supports the all round development of your child. We have lots of toys, activities and equipment for your child to play with, and we will use your child’s interests to extend their learning and development. We take our lead from the children, ensuring that there is a balance between child-led and adult-led activities. Your child can join in with lots of group activities (both small and large groups) for stories, songs, activities and discussions. We will enjoy various trips and outings throughout the year and invite guests, both animal and human, to share their experiences and skills and participate in the children’s learning. 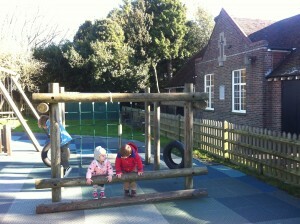 In all our pre-school sessions, your child can choose to play inside or outside, whatever the weather. Our indoor space is secure and well organised, with lots of toys and activities used on a rotation basis to keep the children’s experience fresh and engaging. Your child can choose from arts and crafts, play dough, sand and water play, construction toys, mathematical games and puzzles, home corner, dressing up, books and much more. 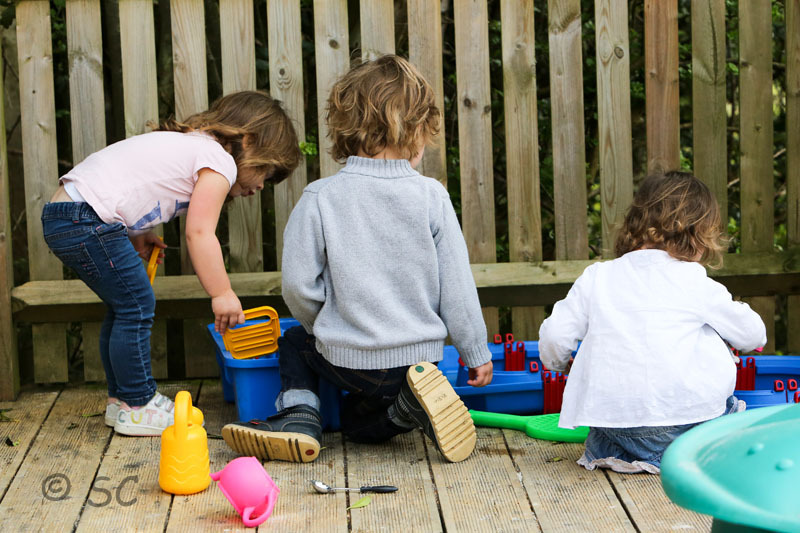 Outdoor play on our decking, in the playground or on the Glebe field helps to keep your child healthy and gives them the chance to explore, let off steam and be physically active. 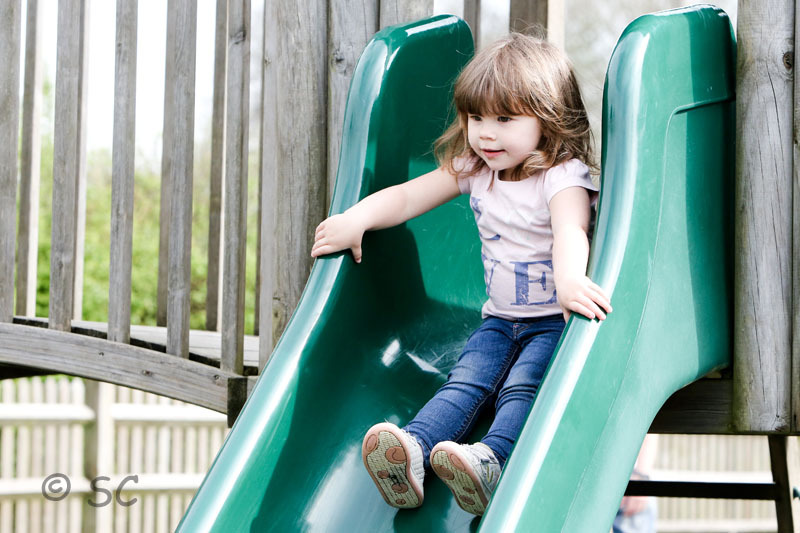 We have a large selection of ride on toys including scooters and cars, climbing and physical games equipment, and areas for gardening and exploring the natural world. We manage the transition to school gradually over the year before your child starts and prepare them to be socially and emotionally ready for the change. 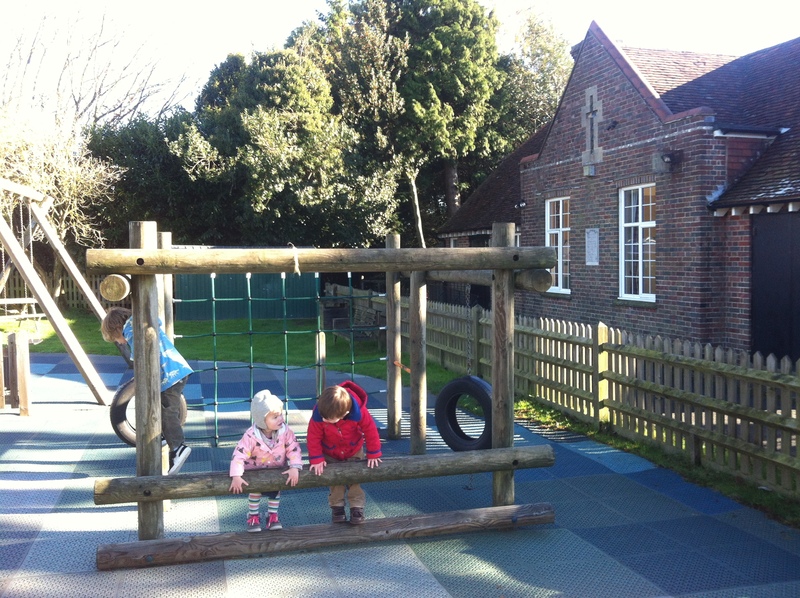 We have forged strong links with the local Goudhurst and Kilndown Primary and on the last Friday of every month our children visit the Reception Class for a play date so they have a taste of ‘big school’. We also hope to join them in their environment for some of their other activities such as the Christmas Nativity Play and Forest School. It must be noted that there is no guarantee a child at our pre-school will secure a place at this primary school, merely that it’s proximity to us lends itself to occasional visits to introduce the children to the type of school they will be attending once they come of age. During each morning pre-school session, the children sit together to eat a healthy snack of fruit and vegetables, sometimes even grown by the children themselves. We will always make sure we meet your child’s dietary requirements and if they have any special ones we need to be aware of, we expect you to notify us of them as soon as possible. We have an optional lunch club every day until 1 p.m. in which the children can bring their own packed lunch and eat together. If you want your child to join in on an ad hoc basis then there is the option to pay the £3 charge ‘as you go’. This is a great social activity and good preparation for the transition to school. For those children that stay for a full day until 3.30 p.m. we offer them any food left over from their packed lunch as an optional afternoon snack. We encourage the children to try different activities and explore a variety of materials, including paint, chalks, play dough, clay, glue, sand and water. We provide aprons for messy play activities, but it is very helpful to have a named change of clothes in pre-school for your child, just in case. The children can choose to play outside whatever the weather so waterproofs may be necessary for playing outside when it is wet and sun hats essential for the summer. Please make sure that your child is dressed in clothing appropriate for the weather, with a named coat and wellingtons if the weather is wet and sun cream applied for the hotter days. You may bring slippers or slipper socks for indoor use during Winter when they are constantly changing from welly boots for ease and cosiness if you wish. We help your child to explore new activities and gain new skills, helping them to become more confident and independent. 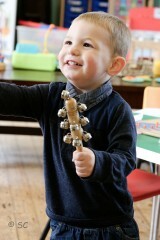 We help them learn to get along with others through sharing, turn taking, listening and playing together. We also encourage your child to learn to look after themselves, for example by putting on their own coat and shoes, going to the toilet and washing their hands. Your child does not have to be potty trained when they start at pre-school, and we will work with you to support you and your child in potty training. If your child is in nappies, please provide spare nappies, wipes, nappy bags and a change of clothes in a named bag. Parents and carers are welcome and encouraged to help out at our pre-school sessions. Helping out can be very rewarding, and it is a good opportunity to see what your child gets up to and the activities they enjoy. It is also a great way to feel more involved and to get to know the other children, parents and staff. 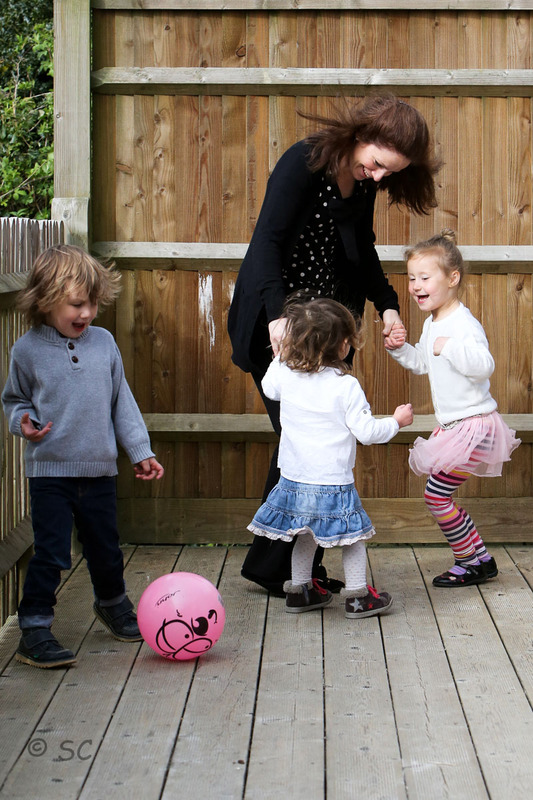 We allow parents to stay in settling in sessions if they feel their children need them.